For that truly special someone you need a truly special gift. 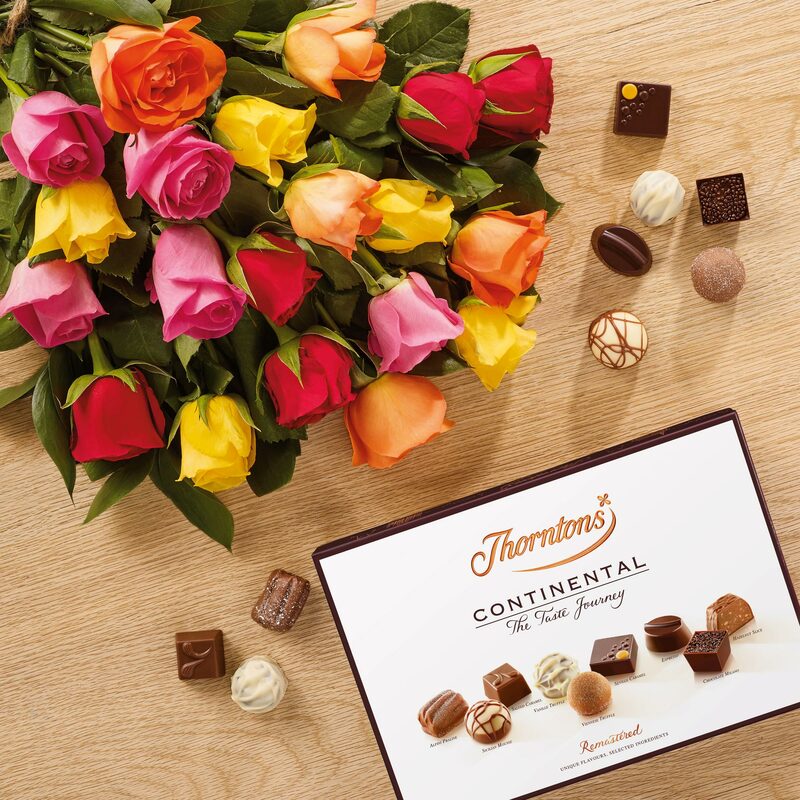 Send your loved one these beautiful Fanfare Roses accompanied by Thorntons delicious Continental chocolates filled with a range of European flavours. Perfect as an anniversary gift for her, birthday present for Mum or just to say 'Thank You' this flower and chocolate combination is sure to remind them of you. You'll find all of the colours of the rainbow in this fantastic bouquet of twenty of the finest quality mixed roses. Hand-selected by our expert florists and tastefully arranged, these wonderful Rainbow Roses are sure to please! Rainbow Roses are a firm favourite - with their classic colours and simply elegant hand-tied design, they make a superb gift. 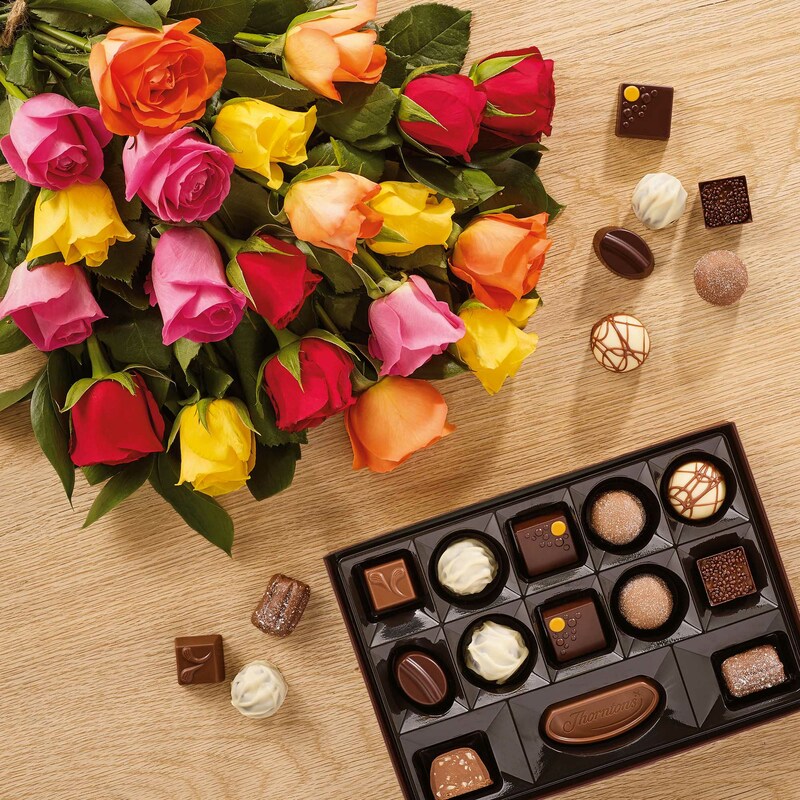 We send your Fanfare Rose and chocolate gift via our premium delivery (next or named day) to ensure it arrives at your recipient's door in the best possible condition. Simply select the date for your delivery at the checkout.